It was Awards Season again, and Netflix wanted a device to display its contenders to voters in an original and exciting way. With every major studio competing for attention, Netflix needed a device that would cut through the clutter and grab voters’ attention. 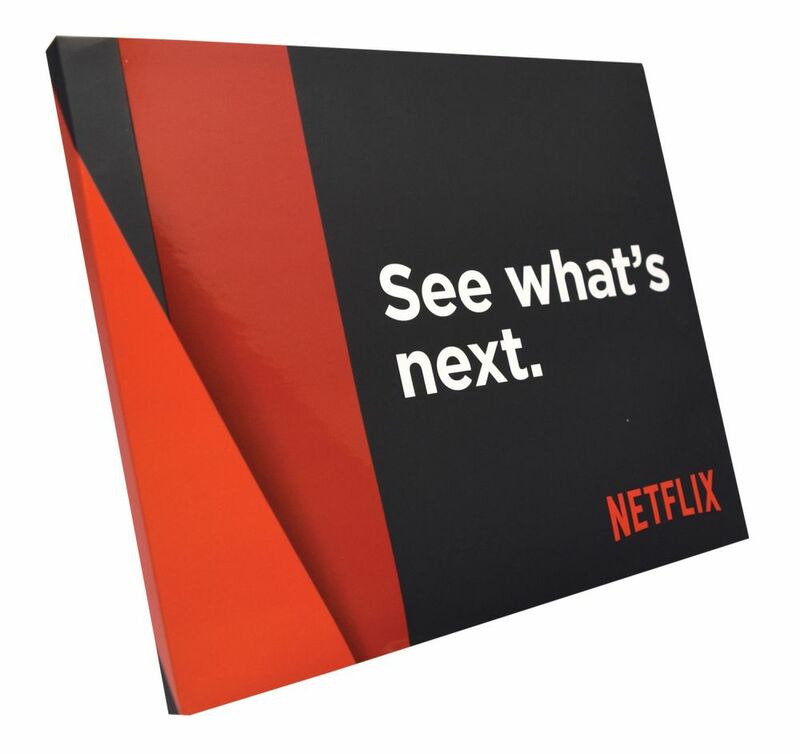 Netflix needed a communication piece to remind voters how exceptional their offerings are, and Americhip’s sleek Video in Print™ brochure delivered the boom! This tri-panel brochure offers plenty of space for Netflix to highlight the logos of their best shows and pending nominees. Most importantly, this Video Brochure gave voters more than three minutes of clips from ground-breaking and award winning Netflix series including House of Cards, Stranger Things, Orange is the New Black and The Crown. Consider the difference in impact between presenting your television shows using static images on silent paper vs. offering exceptional clips on an actual video player embedded in a high-end brochure. Breaking new ground is what Netflix is known for, and they knew that for a groundbreaking showpiece Americhip was the only place to turn to.